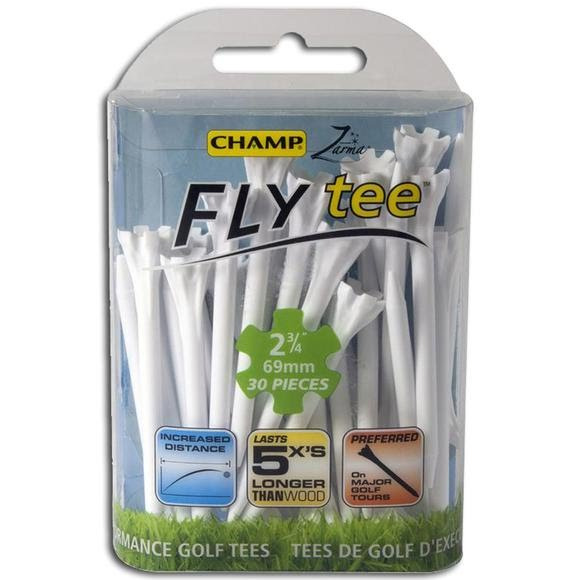 The Champ Zarma 2 3/4 Inch FLYtees™ (30 Pack) from SPL International is a new performance tee that will increase your distance and accuracy from tee to green. With its added durability and contoured cup, this tee gives top performance to all golfers from amateurs to professionals. The new Champ Zarma FLYTtee™ is a must for any golfer.